Randolph Denard Ornette Coleman (March 9, 1930 – June 11, 2015) was an American jazz saxophonist, violinist, trumpeter and composer. He was one of the major innovators of thefree jazz movement of the 1960s, a term he invented with the name of an album. 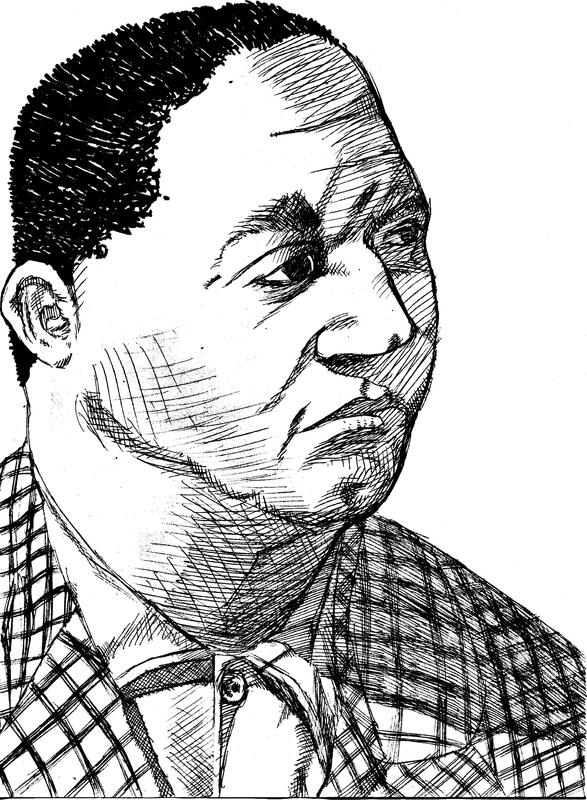 Coleman’s timbre was easily recognized: his keening, crying sound drew heavily on blues music. He was awarded a MacArthur Fellowship (the so-called “genius grant”) in 1994. His album Sound Grammar received the 2007 Pulitzer Prize for music. Coleman was born in 1930 in Fort Worth, Texas, where he was also raised. He attended I.M. Terrell High School, where he participated in band until he was dismissed for improvising during “The Washington Post.” He began performing R&B and bebop initially on tenor saxophone, and started a band, the Jam Jivers, with some fellow students includingPrince Lasha and Charles Moffett.Seeking a way to work his way out of his home town, he took a job in 1949 with a Silas Green from New Orleans traveling show and then with touring rhythm and blues shows. After a show in Baton Rouge, Louisiana, he was assaulted and his saxophone was destroyed. He switched to alto saxophone, which remained his primary instrument, first playing it in New Orleans after the Baton Rouge incident. He then joined the band of Pee Wee Crayton and travelled with them to Los Angeles. He worked at various jobs, including as an elevator operator, while continuing to pursue his musical career. From the beginning of his career, Coleman’s music and playing were in many ways unorthodox. His approach to harmony and chord progression was far less rigid than that of bebopperformers; he was increasingly interested in playing what he heard rather than fitting it into predetermined chorus-structures and harmonies. His raw, highly vocalized sound and penchant for playing “in the cracks” of the scale led many Los Angeles jazz musicians to regard Coleman’s playing as out-of-tune. He sometimes had difficulty finding like-minded musicians with whom to perform. Nevertheless, pianist Paul Bley was an early supporter and musical collaborator. In 1958, Coleman led his first recording session for Contemporary, Something Else!!!! : The Music of Ornette Coleman. The session also featured trumpeter Don Cherry, drummer Billy Higgins, bassist Don Payne and Walter Norris on piano. 1959 was a notably productive year for Coleman. His last release on Contemporary was Tomorrow Is the Question!, a quartet album, with Shelly Manne on drums, and excluding the piano, which he would not use again until the 1990s. 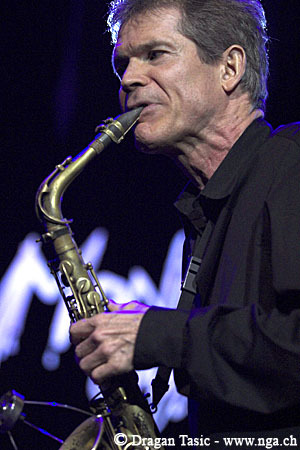 Next Coleman brought double bassist Charlie Haden – one of a handful of his most important collaborators – into a regular group with Cherry and Higgins. (All four had played with Paul Bley the previous year.) He signed a multi-album contract with Atlantic Records who released The Shape of Jazz to Come in 1959. 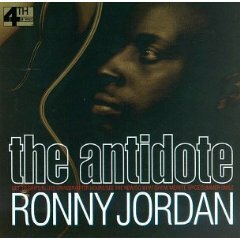 It was, according to critic Steve Huey, “a watershed event in the genesis of avant-garde jazz, profoundly steering its future course and throwing down a gauntlet that some still haven’t come to grips with.” While definitely – if somewhat loosely – blues-based and often quite melodic, the album’s compositions were considered at that time harmonically unusual and unstructured. Some musicians and critics saw Coleman as an iconoclast; others, including conductor Leonard Bernstein and composer Virgil Thomson regarded him as a genius and an innovator. Coleman’s unique early sound was due in part to his use of a plastic saxophone. He had first bought a plastic horn in Los Angeles in 1954 because he was unable to afford a metal saxophone, though he didn’t like the sound of the plastic instrument at first. Coleman later claimed that it sounded drier, without the pinging sound of metal. In later years, he played a metal saxophone. On the Atlantic recordings, Coleman’s sidemen in the quartet are Cherry on cornet or pocket trumpet, Haden, Scott LaFaro, and then Jimmy Garrison on bass, and Higgins or his replacement Ed Blackwell on drums. The complete released recordings for the label were collected on the box set Beauty Is a Rare Thing. In 1960, Coleman recorded Free Jazz: A Collective Improvisation, which featured a double quartet, including Cherry and Freddie Hubbard on trumpet, Eric Dolphy on bass clarinet, Haden and LaFaro on bass, and both Higgins and Blackwell on drums. The record was recorded in stereo, with a reed/brass/bass/drums quartet isolated in each stereo channel. Free Jazz was, at nearly 40 minutes, the lengthiest recorded continuous jazz performance to date, and was instantly one of Coleman’s most controversial albums. The music features a regular but complex pulse, one drummer playing “straight” while the other played double-time; the thematic material is a series of brief, dissonant fanfares. As is conventional in jazz, there are a series of solo features for each member of the band, but the other soloists are free to chime in as they wish, producing some extraordinary passages of collective improvisation by the full octet. In the January 18, 1962 issue of Down Beat magazine, in a special review titled “Double View of a Double Quartet,” Pete Welding awarded the album Five Stars while John A. Tynan rated it No Stars. Coleman originally intended “Free Jazz” as simply an album title, but his growing reputation placed him at the forefront of jazz innovation, and free jazz was soon considered a new genre, though Coleman has expressed discomfort with the term. Among the reasons Coleman may not have entirely approved of the term ‘free jazz’ in that his music contains a considerable amount of composition. 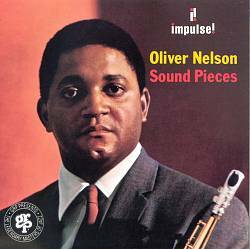 His melodic material, although skeletal, strongly recalls the melodies thatCharlie Parker wrote over standard harmonies, and in general the music is closer to the bebop that came before it than is sometimes popularly imagined. (Several early tunes of his, for instance, are clearly based on favorite bop chord changes like “Out of Nowhere” and “I Got Rhythm”.) Coleman very rarely played standards, concentrating on his own compositions, of which there seemed to be an endless flow. There are exceptions, though, including a classic reading (virtually a recomposition) of “Embraceable You” for Atlantic, and an improvisation on Thelonious Monk’s “Criss-Cross” recorded with Gunther Schuller. 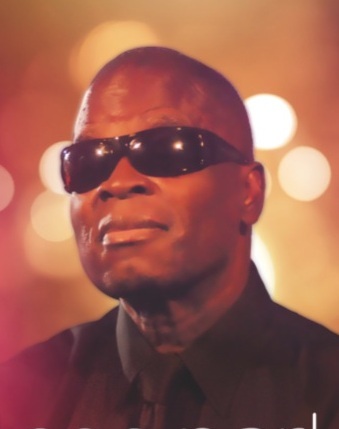 After the Atlantic period and into the early part of the 1970s, Coleman’s music became more angular and engaged fully with the jazz avant-garde which had developed in part around his innovations. His quartet dissolved, and Coleman formed a new trio with David Izenzon on bass, and Charles Moffett on drums. Coleman began to extend the sound-range of his music, introducing accompanying string players (though far from the territory of Charlie Parker with Strings) and playing trumpet and violin (which he played left-handed) himself. He initially had little conventional musical technique and used the instruments to make large, unrestrained gestures. His friendship with Albert Ayler influenced his development on trumpet and violin. Haden would later sometimes join this trio to form a two-bass quartet. 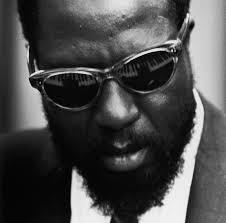 Between 1965 and 1967 Coleman signed with Blue Note Records and released a number of recordings starting with the influential recordings of the trio At the Golden Circle Stockholm. In 1966, Coleman was criticized for recording The Empty Foxhole, a trio with Haden, and Coleman’s son Denardo Coleman – who was ten years old. Some regarded this as perhaps an ill-advised piece of publicity on Coleman’s part and judged the move a mistake. Others, however, noted that despite his youth, Denardo had studied drumming for several years. His technique – which, though unrefined, was respectable and enthusiastic – owed more to pulse-oriented free jazz drummers like Sunny Murray than to bebop drumming. Denardo has matured into a respected musician, and has been his father’s primary drummer since the late 1970s. Coleman formed another quartet. 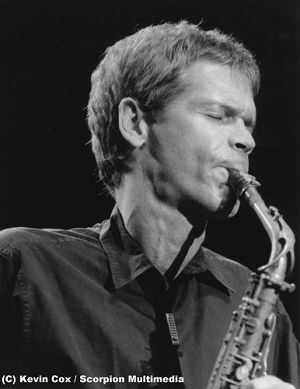 A number of bassists and drummers (including Haden, Garrison and Elvin Jones) appeared, and Dewey Redman joined the group, usually on tenor saxophone. In 1969, Coleman was inducted into the Down Beat Jazz Hall of Fame. Coleman, like Miles Davis before him, took to playing with electrified instruments. 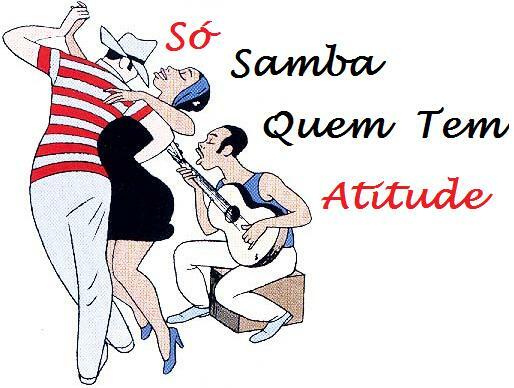 Albums like Virgin Beauty and Of Human Feelings used rock and funk rhythms, sometimes called free funk. The 1976 albumDancing in Your Head, Coleman’s first recording with the group which later became known as Prime Time, prominently featured electric guitars. While this marked a stylistic departure for Coleman, the music maintained certain similarilties to his earlier work. These performances had the same angular melodies and simultaneous group improvisations – what Joe Zawinul referred to as “nobody solos, everybody solos” and what Coleman called harmolodics – and although the nature of the pulse was altered, Coleman’s own rhythmic approach did not. Jerry Garcia played guitar on three tracks from Coleman’s 1988 album Virgin Beauty: “Three Wishes”, “Singing in the Shower”, and “Desert Players”. Coleman joined the Grateful Dead on stage once in 1993 during “Space”, and stayed for “The Other One”, “Stella Blue”, Bobby Bland’s “Turn on Your Lovelight”, and the encore “Brokedown Palace”. Another collaboration was with guitarist Pat Metheny, with whom Coleman recorded Song X (1985); though released under Metheny’s name, Coleman was essentially co-leader (contributing all the compositions). 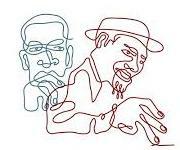 In 1990, the city of Reggio Emilia in Italy held a three-day “Portrait of the Artist” featuring a Coleman quartet with Cherry, Haden and Higgins. The festival also presented performances of his chamber music and the symphonic Skies of America. In 1991, Coleman played on the soundtrack for David Cronenberg’s Naked Lunch; the orchestra was conducted by Howard Shore. It is notable among other things for including a rare sighting of Coleman playing a jazz standard: Thelonious Monk’s blues line “Misterioso”. Two 1972 (pre-electric) Coleman recordings, “Happy House” and “Foreigner in a Free Land” were used in Gus Van Sant’s 2000 Finding Forrester. The mid-1990s saw a flurry of activity from Coleman: he released four records in 1995 and 1996, and for the first time in many years worked regularly with piano players (either Geri Allen or Joachim Kühn). 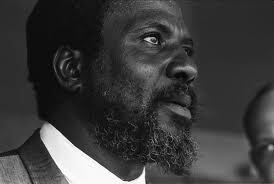 He was awarded aMacArthur Fellowship (genius grant) in 1994. In 2001 Coleman was awarded a Praemium Imperial (World Culture Prize in Memory of His Imperial Highness Prince Takamatsu), an international art prize by the imperial family of Japan on behalf of the Japan Art Association. The prize recognises outstanding contributions in the development, promotion and progress of the arts in the fields of painting, sculpture, architecture, music, and theatre/film—arguably one of the most prestigious art prizes in the world. Coleman was the second and latest jazz musician to receive the Praemium Imperial, after Oscar Peterson in 1999. In September 2006 he released a live album titled Sound Grammar with his newest quartet (Denardo drumming and two bassists, Gregory Cohen and Tony Falanga). 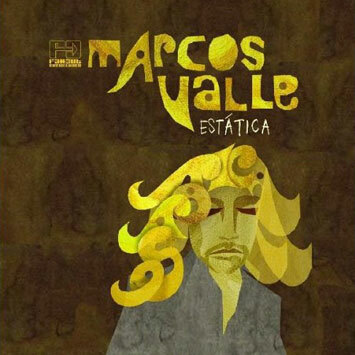 This was his first album of new material in ten years, and was recorded in Germany in 2005. 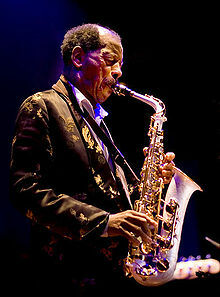 It won the 2007 Pulitzer Prize for music, Coleman being only the second jazz artist to win the prize. On February 11, 2007, Coleman was honored with a Grammy award for lifetime achievement, in recognition of this legacy. On July 9, 2009, Coleman received the Miles Davis Award, a recognition given by the Festival International de Jazz de Montréal to musicians who have contributed to continuing the tradition of jazz. On May 1, 2010, he was awarded an Honorary Doctorate in Music from the University of Michigan for his musical contributions. Jazz pianist Joanne Brackeen (who had only briefly studied music as a child) stated in an interview with Marian McPartland that Coleman had been mentoring her and giving her semi-formal music lessons in recent years. 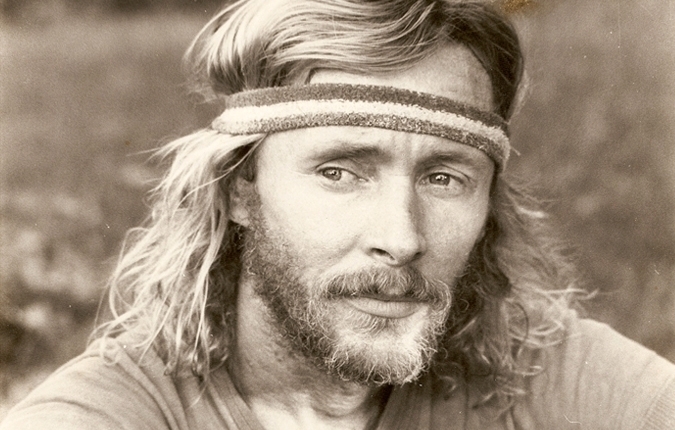 Coleman continued to push himself into unusual playing situations, often with much younger musicians or musicians from radically different musical cultures. 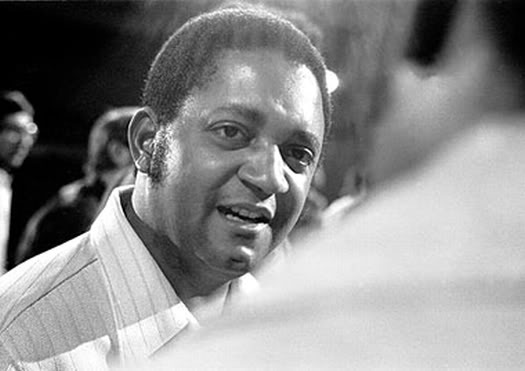 An increasing number of his compositions, while not ubiquitous, have become minor jazz standards, including “Lonely Woman”, “Peace”, “Turnaround”, “When Will the Blues Leave?”, “The Blessing”, “Law Years”, “What Reason Could I Give” and “I’ve Waited All My Life”. He has influenced virtually every saxophonist of a modern disposition, and nearly every such jazz musician, of the generation that followed him. His songs have proven endlessly malleable: pianists such as Paul Bley and Paul Plimley have managed to turn them to their purposes; John Zorn recorded Spy vs Spy (1989), an album of extremely loud, fast, and abrupt versions of Coleman songs. Finnish jazz singer Carola covered Coleman’s “Lonely Woman” and there have even been progressive bluegrass versions of Coleman tunes (by Richard Greene). Coleman married poet Jayne Cortez in 1954. The couple divorced in 1964. 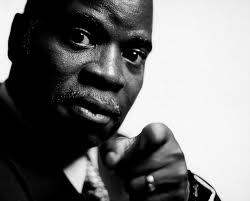 They had one son, Denardo, born in 1956, who became a notable jazz drummer in his own right. Coleman died of a cardiac arrest at the age of 85 in New York City on June 11, 2015. K.C. 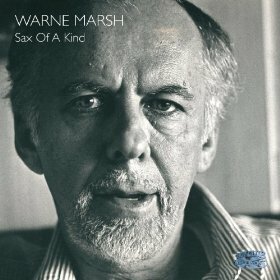 Marsh here, son of tenor sax man, Warne Marsh. I’ve been working on a documentary about my father and am just spreading the word to the Jazz community. This doesn’t look like something you’d share on your blog but I’d certainly love any help you’d be willing to give spreading the word in any form. At the end of the day I just want to connect Warne fans with a project that seeks to illuminate the man and his music…. Hope this finds you well and keep up the great work with your music and projects! It’s such a beautiful art form. 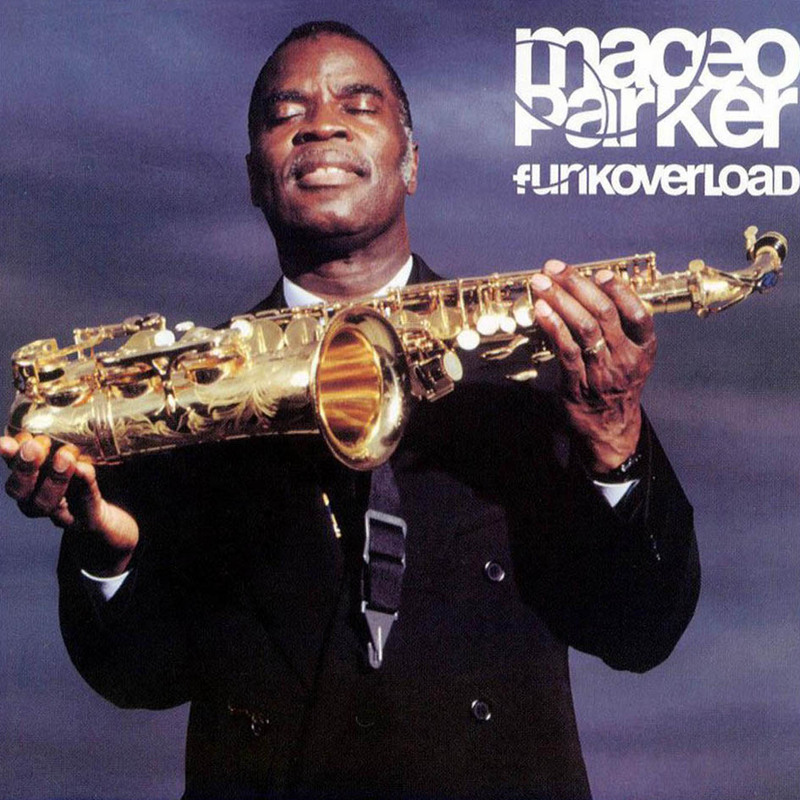 Maceo Parker (born February 14, 1943) is an American funk and soul jazz saxophonist, best known for his work with James Brown in the 1960s, as well as Parliament-Funkadelic in the 1970s. Parker was a prominent soloist on many of Brown’s hit recordings, and a key part of his band, playing alto, tenor and baritone saxophones. Since the early 1990s, he has toured continuously under his own name. Parker was born in Kinston, North Carolina. His father played piano and drums; his mother and father both sang in church. His brother Melvin played drums and his brother Kellis trombone. He and his brother Melvin joined James Brown in 1964; in his autobiography, Brown says that he originally wanted Melvin as his drummer, but agreed to take Maceo under his wing as part of the deal. In 1970 Parker, his brother Melvin, and a few of Brown’s band members left to found Maceo & All the King’s Men, which toured for two years. In 1974, Parker returned to James Brown. He also charted a single “Parrty – Part I” (#71 pop singles) with Maceo & the Macks that year. In 1975, Parker and some of Brown’s band members, including Fred Wesley, left to join George Clinton’s band Parliament-Funkadelic. 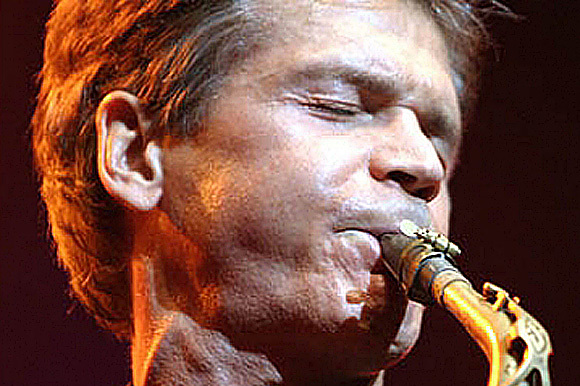 Parker once again re-joined James Brown from 1984 to 1988. In the 1990s, Parker began a solo career. 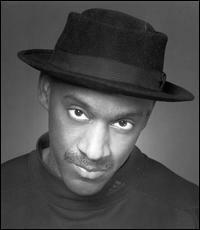 To date, he has released eleven solo albums since 1990. His band has been billed as “the greatest little funk orchestra on earth” and the “million dollar support band”. In 1993, Parker made guest appearances on hip hop group De La Soul’s album Buhloone Mindstate. 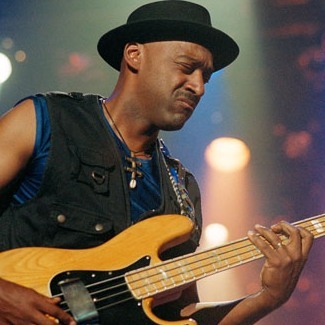 In the late 1990s, Parker began contributing semi-regularly to recordings by Prince and accompanying his band, The New Power Generation, on tour. He also played on the Jane’s Addiction track “My Cat’s Name Is Maceo” for their 1997 compilation album Kettle Whistle. In 1998, Parker performed as a guest on “What Would You Say” on a Dave Matthews Band concert which also became one of their live albums, Live in Chicago 12.19.98. 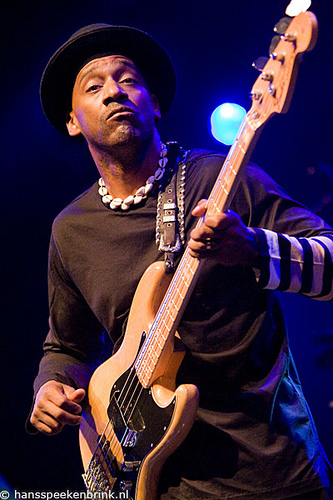 In 2007, Parker performed as part of Prince’s band for Prince’s 21 nights at the O2 arena. In October 2011, Parker was inducted in the North Carolina Music Hall of Fame. In July 2012 Parker was the recipient of a Lifetime Achievement Award from Victoires Du Jazz in Paris. He continues touring throughout the world, headlining many jazz festivals in Europe. In 2012, Parker was a special guest on the Soul Rebels Brass Band’s sold out CMJ Highline Ballroom showcase.